The European Commission, an institution of the European Union responsible for drawing up proposals for new European legislation, the management of EU policies and allocation of EU funding, enforcement of EU law and the representation of the EU internationally, just launched the EU Blockchain Observatory and Forum. 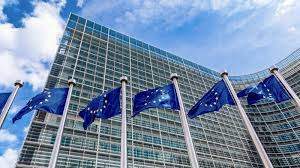 The European Commission has partnered up with ConsenSys, a blockchain software technology company, to help them run the EU Observatory and Forum. Jakob von Weizsäcker, a member of the European Parliament, will represent the Observatory. Von Weizsäcker lead the report on virtual currencies for the European Parliament back in 2016, a report used for a motion for a European Parliament resolution, which relies on the necessity of smart regulation for an environment of dynamic innovation such as the blockchain industry. It was in part thanks to this report and the proposal von Weizsäcker made that lead to the European Commission starting to develop the Blockchain Observatory and Forum, which also plans on supporting the Commission’s work of FinTech. FinTech is a policy priority for the European Commission, since it plays a major role in achieving the goals the European Community set in regards to the development of the single market, Banking Union, the Capital Markets Union and retail financial services. The European Commission is betting on the blockchain technology. So far EUR 83 million have been allocated by the EU to blockchain related projects, and potentially up to EUR 340 million could be committed from 2018 to 2020. The European Commission is one of the allies of the blockchain industry. It is through this type of initiative that they plan to provide more visibility to this technology and build on existing initiatives, consolidate expertise and address the challenges created by today’s world. This technology will help European industry improve their business processes and enable new business models, bringing them to a more developed system.